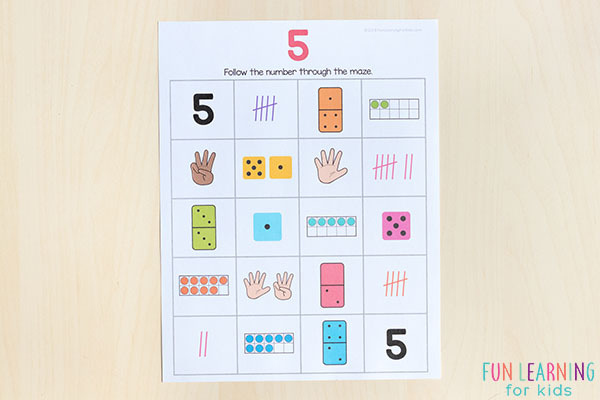 Are you looking for hands-on printable number sense activities that you can use in your math centers or guided math groups? 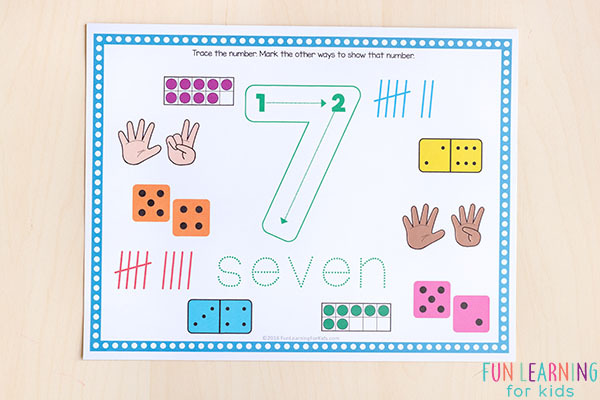 These math activities build number sense and cover things like counting, composing and decomposing numbers, reading and writing numbers, ten frames, number bonds and place value to just name a few! 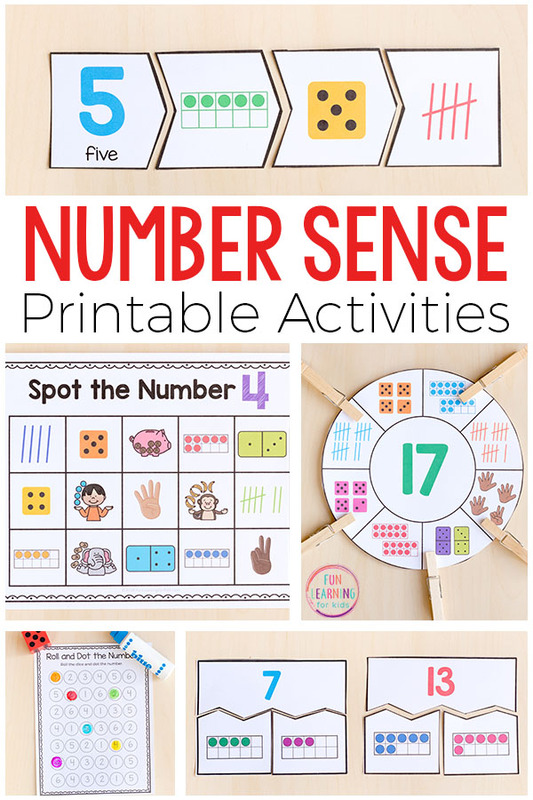 These differentiated number sense activities are hands-on and engaging while being aligned to standards. 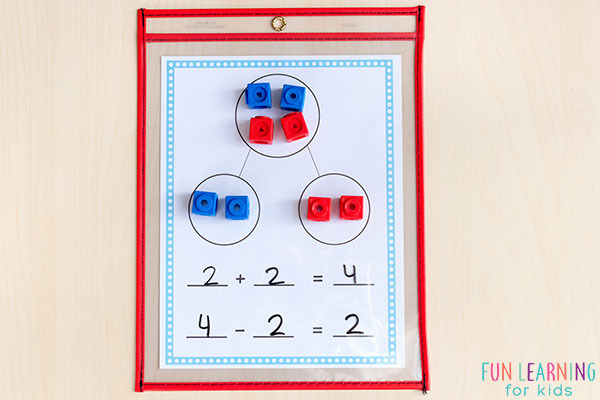 They are perfect for math centers and guided math lessons. In an effort to save you time, each activity requires very little set up and a limited number of supplies. Are you lacking the time needed to find math lessons and activities that will meet the needs of your students? Do you feel stressed because it is difficult to get it all done? Maybe you feel like you shouldn’t have to spend so much time searching for math lessons that meet your students’ needs. I know what it is like to be super busy and have a lot of demands on your time. You want to find fun and engaging activities for the kids you teach, but you need them to be easy to set up and differentiated for all the different needs of your students. As a former teacher and a very busy working homeschool mom, I have lots of experience trying to find activities that are easy to prep and meet the needs of children at a variety of levels and abilities. 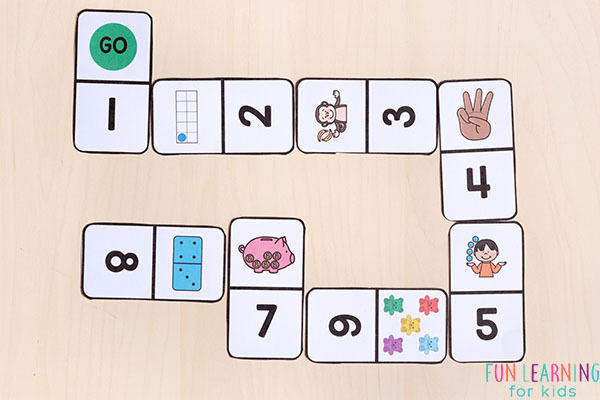 That’s why I decided to create my own printable number sense activities and games that are simple and effective! 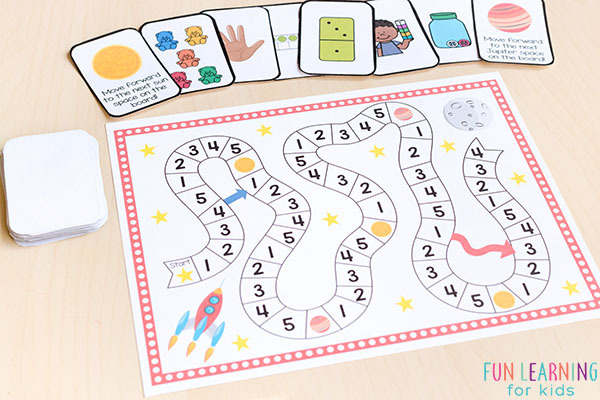 With over 250 pages of differentiated activities, this printable bundle covers a wide variety of skills and is able to meet the needs of students at varying levels of ability. 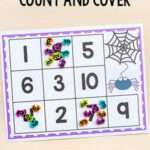 To start, there are these spot the number mats for numbers 1-9. 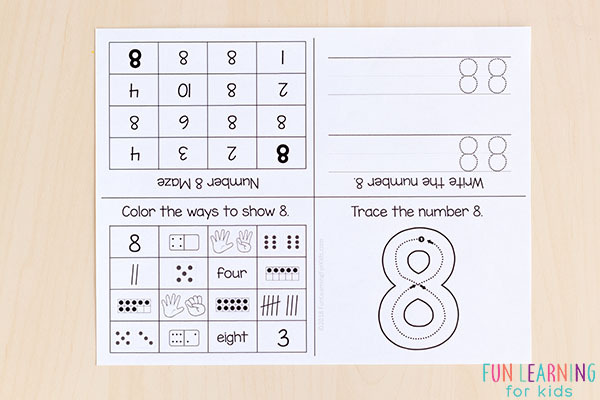 These number sense mats are differentiated to meet the needs of students at many levels of ability while covering a wide range of skills. 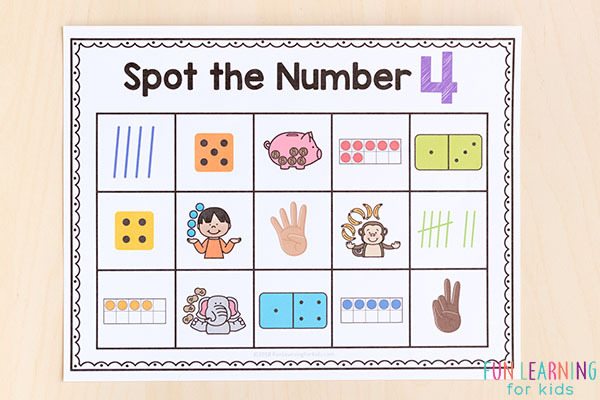 Work on number recognition, writing numbers, counting, number bonds, place value and more! 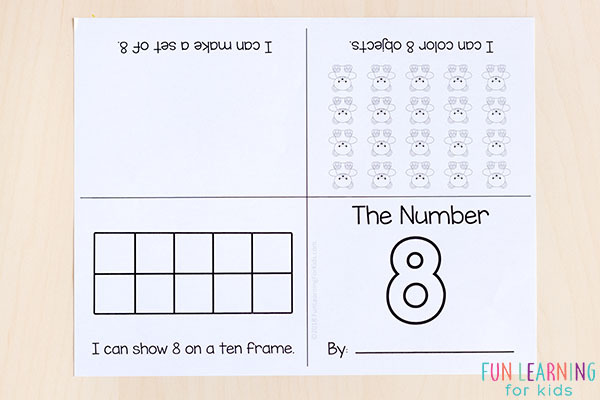 These foldable number mini books have two pages of interactive activities for each number 1-20! No need to cut or staple. Just fold the pages in half twice and you have a mini book! 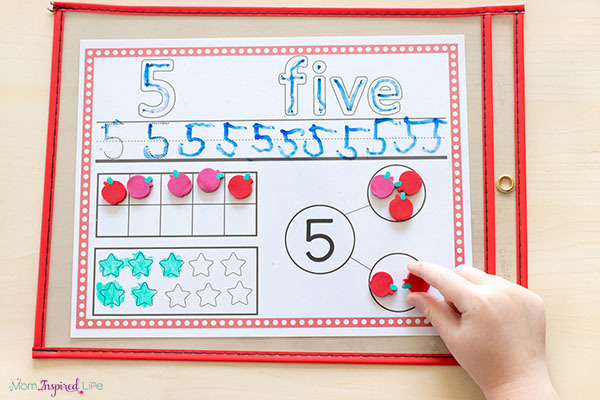 Use these play dough number mats to make learning number formation and number sense hands-on and fun! If you don’t want to use play dough on them, you can use dry-erase or wet-erase markers on them. 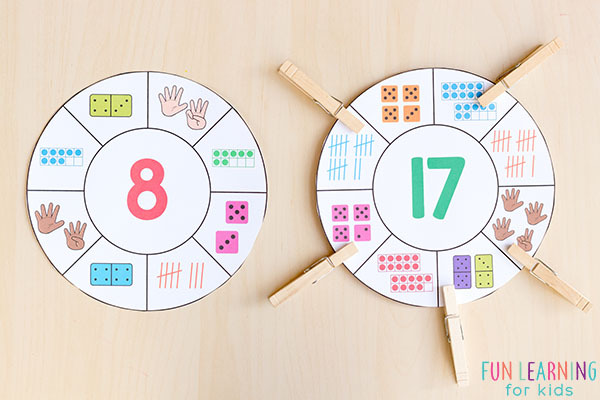 Kids will have a blast using these number sense dominoes! 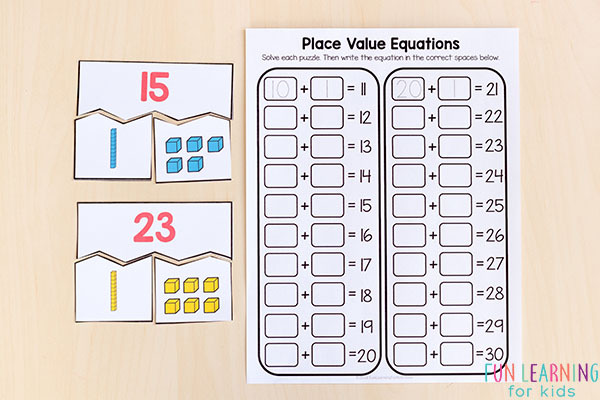 Practice composing and decomposing numbers with these number bond puzzles and these place value puzzles. Both come with a recording sheet so students can also write the equations, if you would like. If not, just use the puzzles. 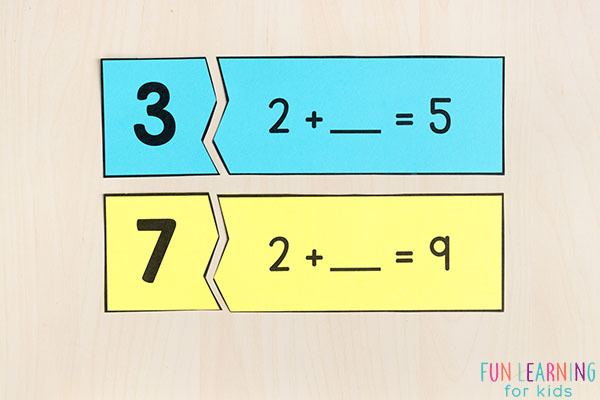 These missing addend puzzles are a hands-on way for students to see the relationship between numbers while solving an equation with a missing addend. Made in black and white so you can just print on colored paper of your choosing. 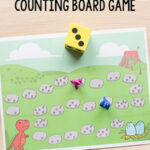 Use these 4 piece puzzles to give children a hands-on way to practice counting and exploring the various representations of a number. 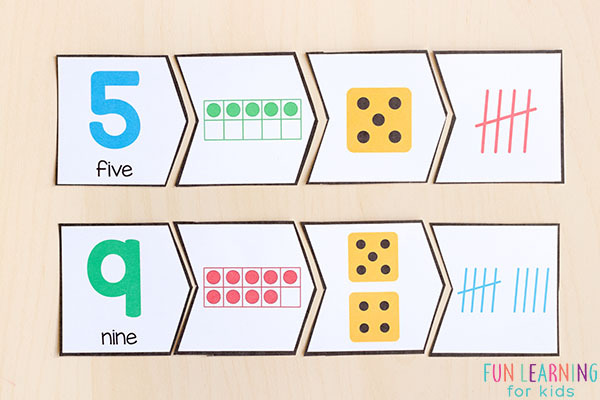 For this week only, the number sense printable pack is on sale for 35% off!! Sale ends April 2, 2018 at 11:59 ET. 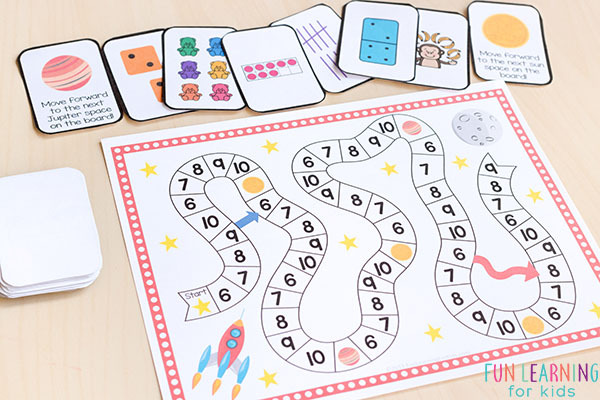 Children will love this awesome space-themed board game that teaches number sense and counting! 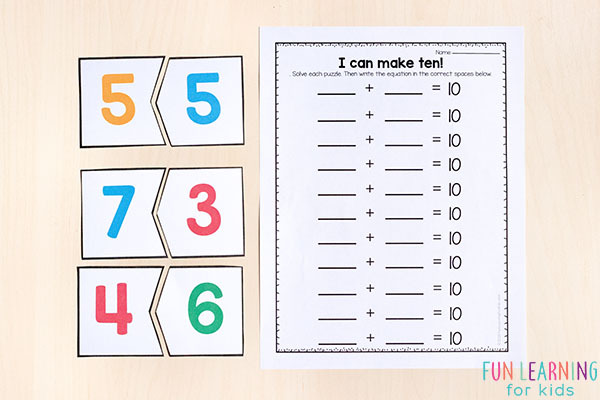 Two versions are included so that you can work on numbers 1-5 and also 6-10. 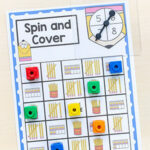 Teach number sense and develop fine motor skills with these engaging clip card wheels! 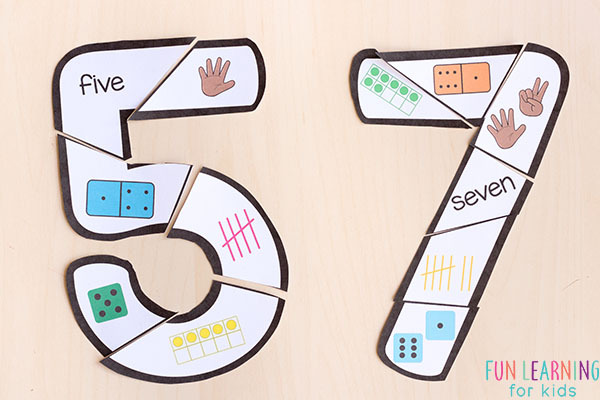 These number formation puzzles are a fun way for kids to learn numbers and number formation! 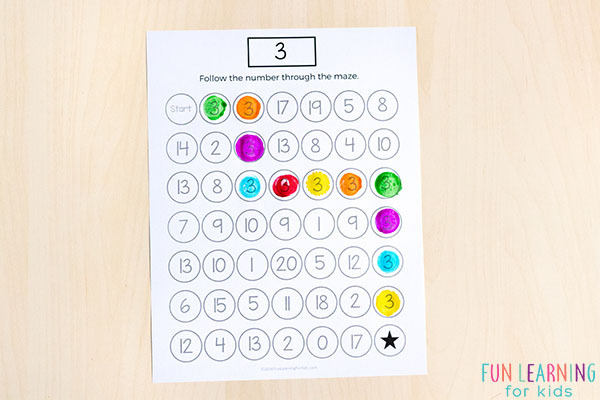 Challenge kids to find their way through a number maze with lots of different representations of each number. 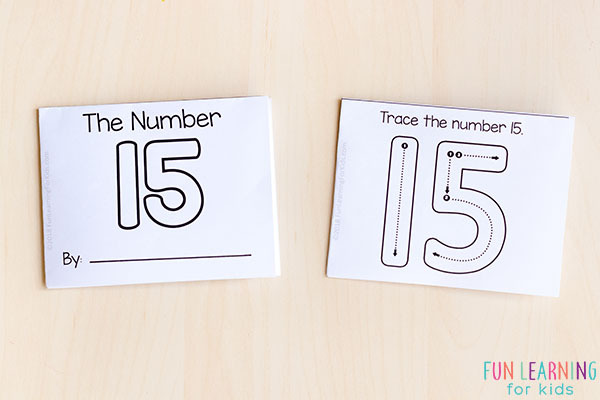 Or do these simple number mazes for fun! 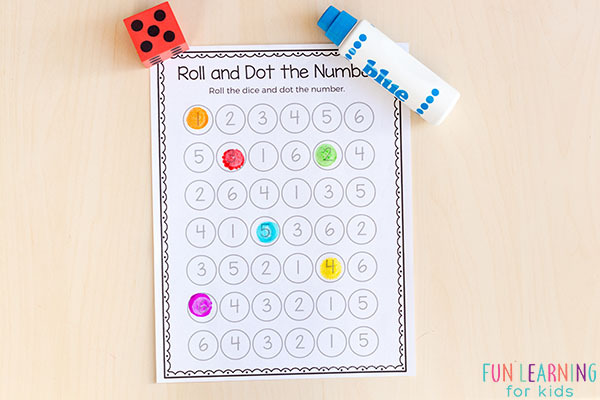 Kids love these roll and dot the number pages! 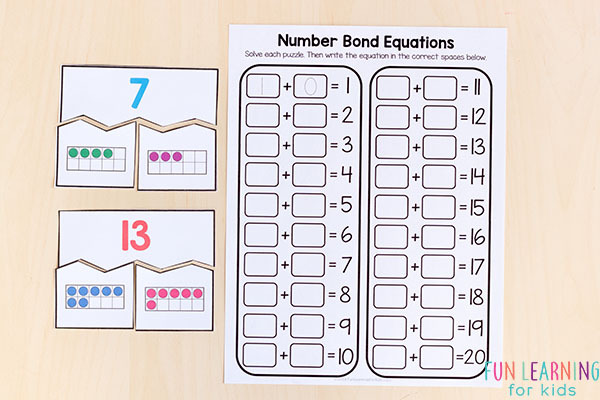 Practice composing and decomposing numbers with these number bond mats. 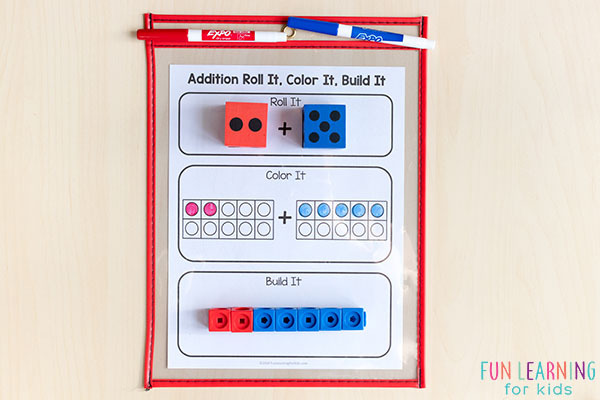 Make learning to add fun and engaging with these hands-on roll it, color it and build it mats! There are two kinds of making ten puzzles included in this bundle. 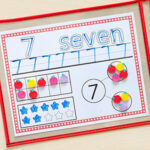 These help children learn learn the relationship between numbers. 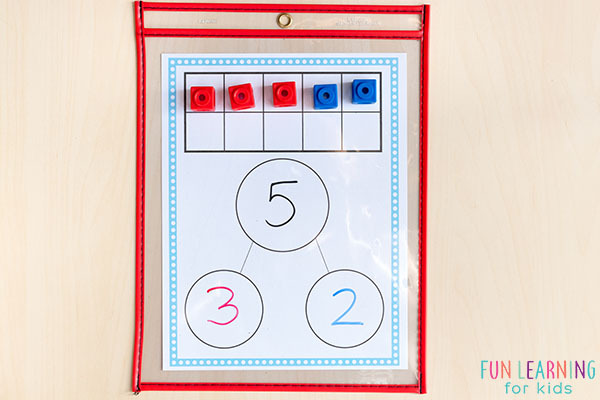 You can also use the ten frame/number bond mats and counters with these, so that children can check their answers and see objects visually. I’ve also included a recording sheet, if you would like to use it in your centers. 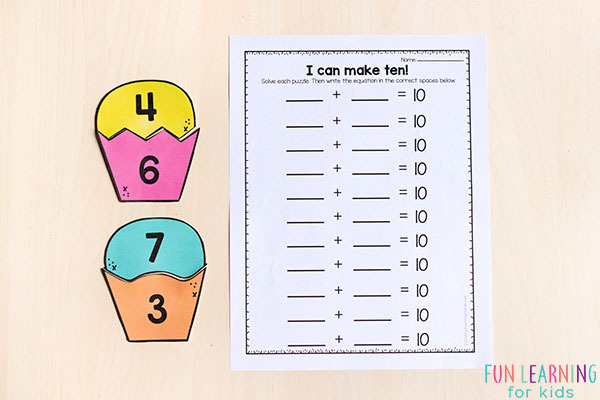 Math printables that are easy to prep! The printables are also made in a way that limits the amount of cuts you need to make while prepping. Even better, you can easily laminate them or stick them into write and wipe pockets for use again and again, year after year. Now you don’t have to spend all your free time on planning. You won’t have to scramble to find things at the last minute. And you won’t have to spend hours upon hours prepping materials. 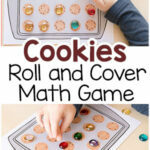 This will save you lots of time while engaging the kids you teach with fun, hands-on math experiences!